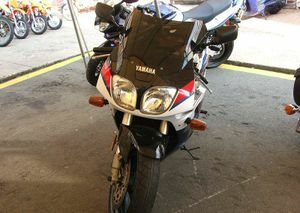 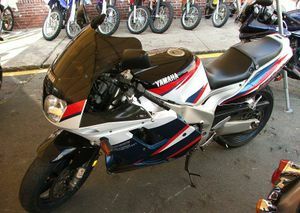 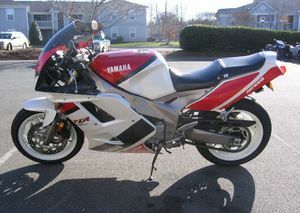 The Yamaha FZR1000 is a motorcycle produced by Yamaha from 1987 to 1995. 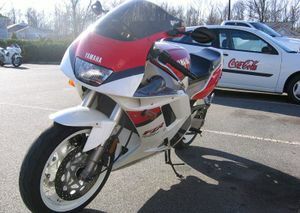 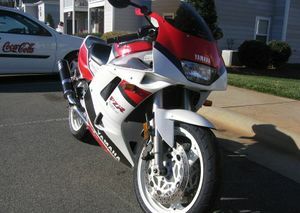 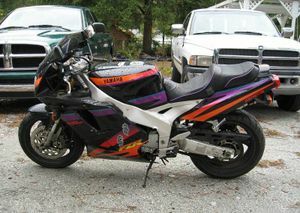 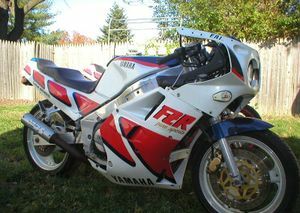 The 1987 version of the Yamaha FZR1000 had a top speed of over 155 mph. 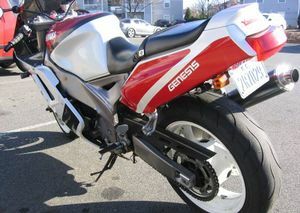 The 1989 version, crowned the "Bike of the Decade" by Cycle World, had 0-60 acceleration of 3.9 seconds, and a top speed of over 167 mph. 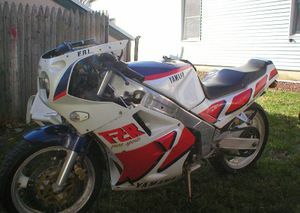 The unique feature which gave the 1989 onward models their 'EXUP' name was a servo motor driven exhaust valve. 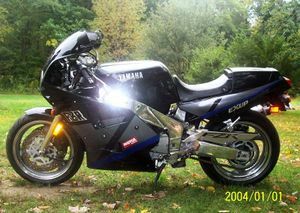 This allowed large bore exhaust header pipes (for excellent gas flow at high engine speeds) coupled with the valve restricting flow at lower revs, to speed the gas through. 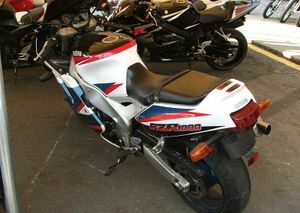 It gave pulling power from low revs, seamlessly, up to the red line at 11,500RPM. 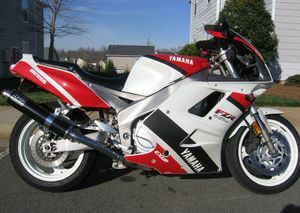 Yamaha used this valve system on the YZF models which followed (Thunderace) and the R1 models from 1998. 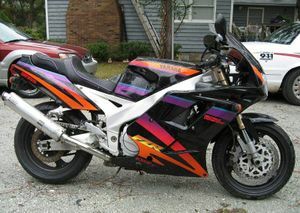 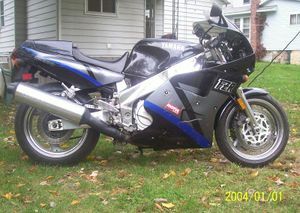 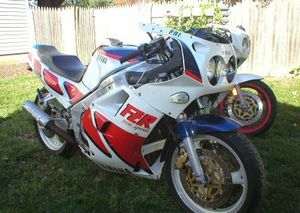 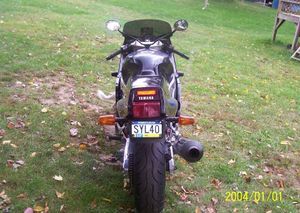 1994-1995: FZR 1000 "Exup", Revised USD forks, uprated brakes, two "fox-eye" shaped headlights. 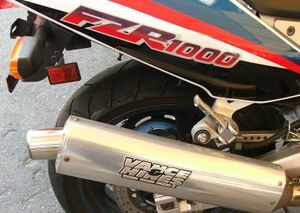 The FZR1000 quickly went out of production following the 1994 introduction and sales success of the Supersport series, lead by 1994's introduction of the Tadao Baba developed Honda Fireblade. 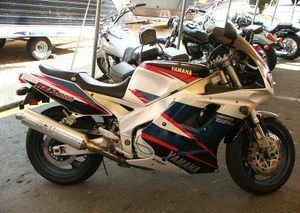 It was not until the 1998 development of the Yamaha YZF-R1 that Yamaha again caught up. 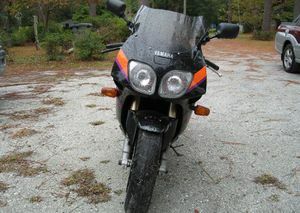 Revised USD forks, uprated brakes, two "fox-eye" shaped headlights.